If you're looking for a new journal to record your dreary thoughts or macabre life events, check out this Coraline pocket journal, new from Insight Editions. It has 192 lined pages, punctuated with occasional colorful illustrations from the stop-motion film. 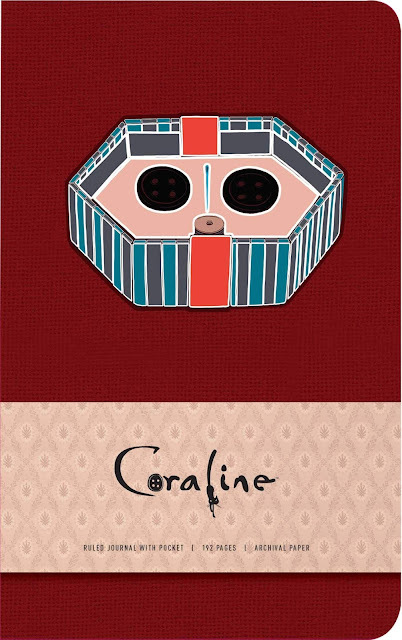 The front cover shows a box with Coraline's button eyes. 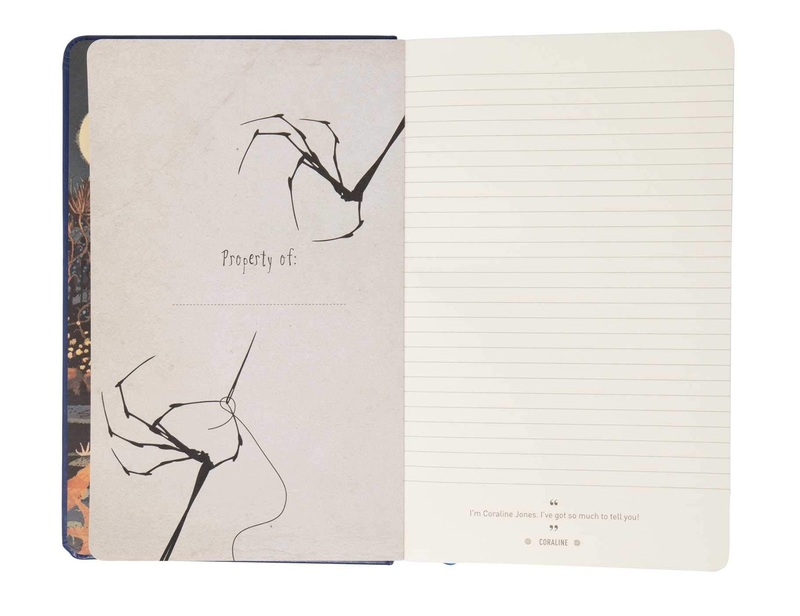 The pocket journal is available on Amazon. Here's another option - a hardcover Coraline journal with a purple cover. It's also hardcover and has 192 lined pages. 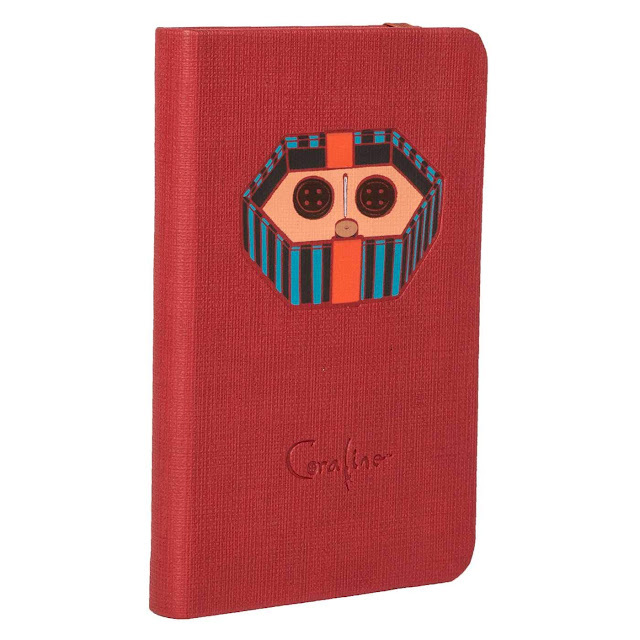 This journal includes concept art, sketches and quotes from the film. Both journals are also sold on eBay. 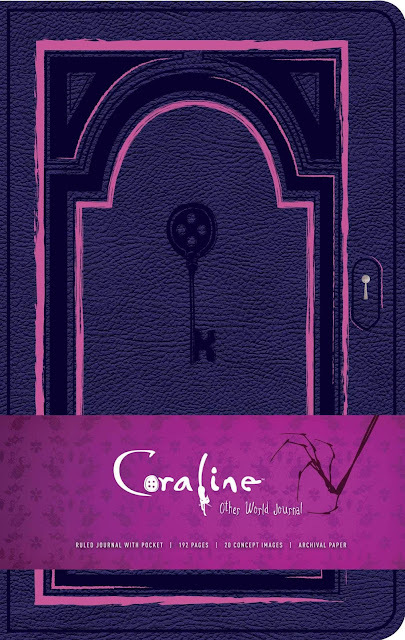 Note that Coraline is celebrating its tenth anniversary this year!